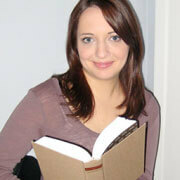 Katherine Don is a freelance writer, editor and researcher. She has been a contributing writer to six nonfiction books, including Power of the Dog from St. Martin’s Press, and Armchair Reader: The Book of Myths and Misconceptions from Publications International. She is the author of Real Courage: The Story of Harper Lee, a YA biography of Harper Lee from Morgan Reynolds Publishing. Her second YA book, Nujood Ali and The Fight Against Child Marriage, is forthcoming from Morgan Reynolds in the spring of 2015. Katherine’s essays and journalism have appeared at Salon.com, The Atlantic online, the Huffington Post, Religion Dispatches, Next American City magazine, and elsewhere. Her first screenplay, a short film that she co-wrote with her friend Sakina Fakhri, was the first-place winner in the screenwriting category at the 2015 Los Angeles Movie Awards. In 2011, Katherine founded The Book Don, a boutique book doctoring service that provides personalized editing packages for authors of nonfiction and fiction books. Katherine holds a master’s degree in literary journalism from NYU and a bachelor’s degree in biological anthropology from Northwestern University. She loves to write and research in the areas of childbirth care, reproductive justice, and gender and media issues. Additionally, Katherine freelances as a grant writer and/or editorial consultant for nonprofit organizations, and edits academic essays at Scintilla Tutoring.